In the late 1800s a lady called Mrs Chamberlain, bought a house in Challabrook Lane, and came to live here. She took a great interest in the few Catholics that lived here at the time. The house was called ‘Rosario’ and a priest from Ingsdon Convent cycled over on Sundays to say Mass in her house. In 1904, some ground was rented from Squire Bentik of Indio (a large estate in those days). Somehow, between them, they managed to build a lovely little church, consisting of corrugated iron sheets for the outside walls, lined with wood. It was a beautiful little church used until our present church was built in 1936. There was a smaller building of the same materials which was used as a school room. The priest still continued to come over from Ingsdon to say Mass. The church could be used for baptisms and funerals, but was not licensed for marriages. Catholics from Bovey Tracey were married at St Joseph’s, Newton Abbot. Mr and Mrs Dahl come to Bovey each year for their holiday, they took a great interest in the church. Eventually they had a house built here and came to live. 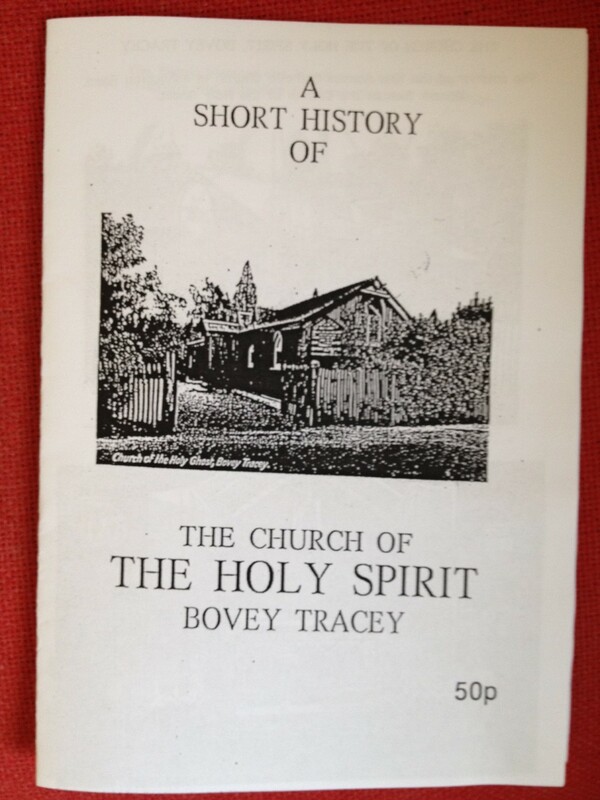 They were the main benefactors of our present church in Bovey Tracey. Fr McLachlan was the first resident priest here. He lodged in Brimley Road until the new church was built with the presbytery. Fr McLachlan came from Scotland and was in very poor health. He lived to see the new church built, then sadly he died. For a short time, Fr Herring was here as parish priest, then Fr James Weeks came. He was here all through the war years, then after a number of years he moved to Dorchester. After the new church was built in 1936, the old church was used as a parish hall. Whist drives, social events and Christmas parties were held there. During the war years, 1939 – 1945, the hall was used as a temporary school for evacuee children. After Fr Weeks left, Canon Power was our new parish priest. By this time, the old church (used as a hall) was in need of repair and decoration. A few men of the parish did all the work to restore it and it was then names St Peter’s Hall. It was then again used for all the social activities. During Canon Power’s time, there was a grotto to Our Lady in the garden of our church and we finished our processions with Benediction there. At that time, the girls and nuns of Ignsdon Convent and the Polish people from Stover Camp in national costume, also joined us in our processions. Canon Power became ill, and had to retire, and Mgr Tobin became our next parish priest. he was here for many years until he died in 1977. He was also Vicar General of the Diocese for over 20 years including during the period of the Vatican Council. Fr Foley then became our parish priest. he was here for several years, until he became ill and then he retired to Margaret Clitherow Home in Torquay. 2017 – Canon Pat Costello V.F. Ugbrooke House was the centre for Catholic worship in this area for many years during penal times and in the early years of the restoration of the Catholic hierachy. Indeed the Synod which set out the organisation of the new Plymouth diocese took place there in 1854. 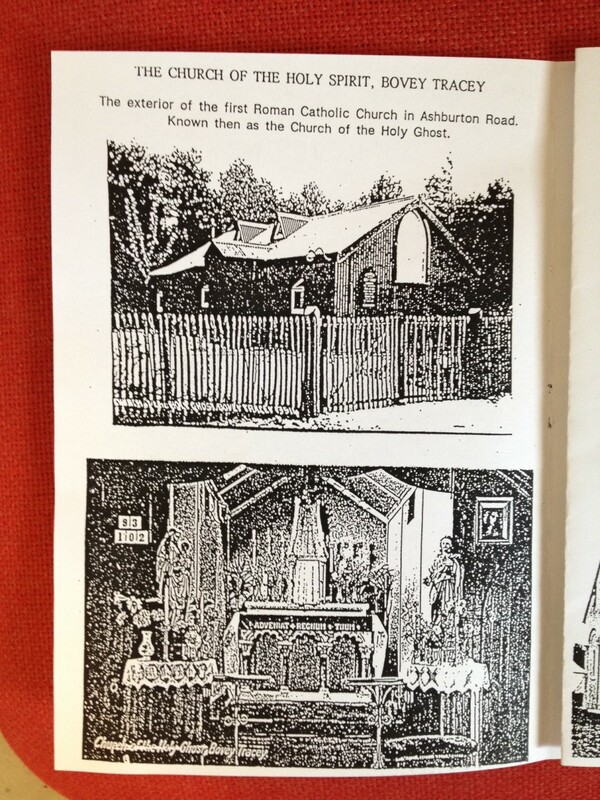 A fascinating short history of the chapel is available to download via this link.